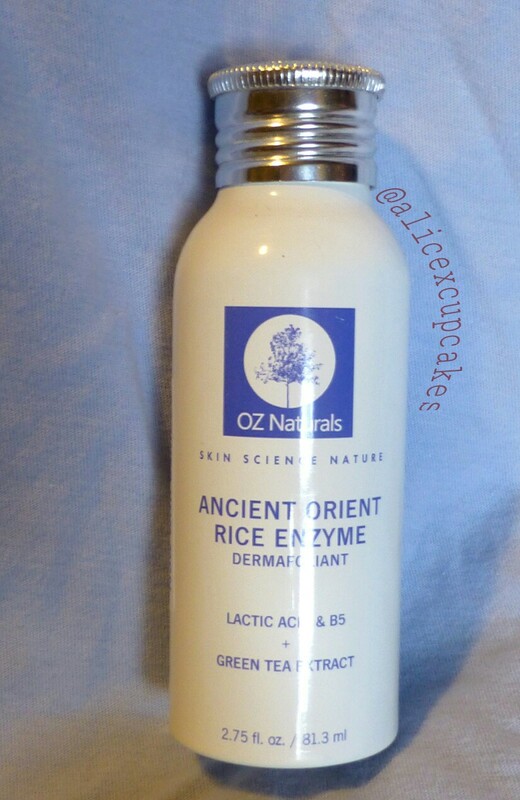 Today I have a quick review on OZ Natural’s Ancient Orient Rice Enzyme Dermafoliant, it’s an exfoliator in powder form! 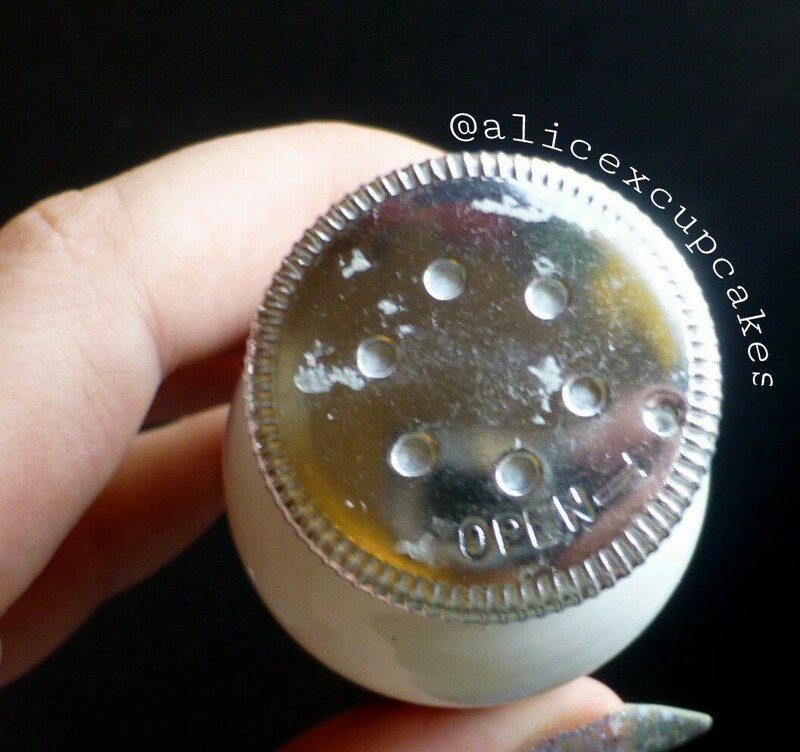 It has a shaker top that twists open and shut, but the top is difficult to twist so I usually just take the whole cap off. Although when I do that- since powder gets between the container and cap- it makes a horrendous nails on chalkboard grating sound that sets my teeth on edge >.< The milk bottle-esque shape is really cute though , so I put up with the tricky lid. I use 2-3 “shakes” of powder and mix it up in my palm with a couple drops of water, the container suggests leaving the scrub on your face a couple minutes after scrubbing to let it soak in since it also has lactic acid and green tea extract, which are both supposed to do wonders for your skin, but I’m usually in a rush so I just rinse it off. After getting it wet, the scrub has a strange scent, nothing offensive but kind of weird. The only thing I could think to compare it to is greek yogurt? That tart milky smell, I think the lactic acid must give it that. Like I said it’s not bad, I’ve just never encountered anything like it. Of shoes and ships, and sealing wax, of cabbages and kings!